Mitski has debuted a video for another track off Be the Cowboy. Following clips for "Nobody" and "Geyser," she's given "Washing Machine Heart" the visual treatment. 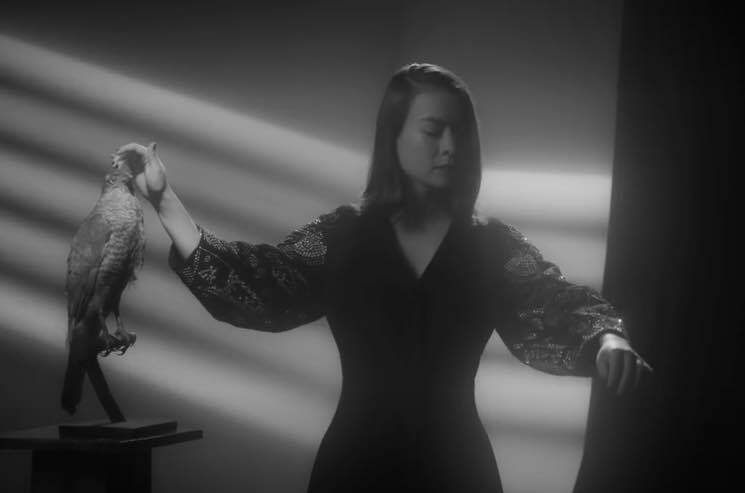 The black-and-white video features Mitski moving dramatically, striking poses along side a plant, a taxidermy bird, an oyster, a statue — and a shadowy man. Watch the video for "Washing Machine Heart" below. Read Exclaim! 's recent cover story on Mitski here.